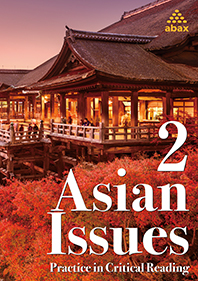 Asian Issues 2 is the second book in a three level series designed to help students develop the skills needed to read texts effectively and to take in information with a critical eye. All the topics are focused on Asian issues, with a greater focus on East Asian issues. Students get practice reading in English while learning about the culture of East Asia, topics that might be more familiar to students learning English in East Asia. Password protected. Please contact us.